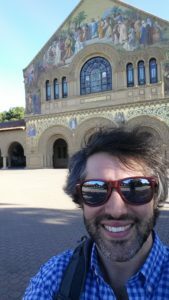 I started at the Center for Compassion and Altruism Research and Education (CCARE) at Stanford University on June 1st, 2016. And I can’t believe I am writing this blog on July 5th! It feels like I only just touched down in the USA yesterday, so I’m shocked a month has already come and gone. I am lucky enough to be here as a result of receiving an Endeavour Fellowship Award. The Endeavour Scholarships and Fellowships are the Australian Government’s competitive, merit-based scholarships and fellowships providing opportunities for Australians to undertake study, research or professional development overseas and for overseas citizens to do the same in Australia. 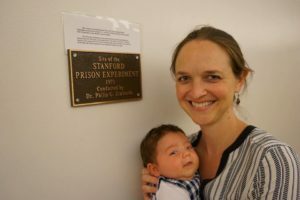 When I first found out that I was a lucky recipient of an Endeavour Fellowship to study at CCARE at Stanford I was in shock. 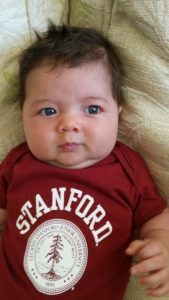 I have always dreamt about working at CCARE at Stanford, but I never really thought I would have the chance. I guess that feeds into my self-doubt. At High School I wasn’t particularly brilliant at any subjects and I never really applied myself at my studies, so my performance at school as measured by academic standards was pretty average. And I guess that has always been with me. I often harbour regrets about not ‘working’ harder at school, I don’t know why I still think about that today, as things have worked out very well, but the thoughts still pop up in my mind often and make me doubt myself (thanks brain!). The first month here at CCARE has been one of pure delight. On arrival, I was contacted by Dr James Doty, the Director of CCARE, to come over to his place for a welcoming dinner. I’m not going to lie, receiving that invitation I was immediately hit by a combination of joy and anxiety. Dr Doty is an individual I truly admire, his book, “Into The Magic Shop” had a profound impact on me, which I have written about previously. Not only that, he is a Professor of Neurosurgery at Stanford! So to go to his house I was again plagued by my self-doubt, fearing that he will soon learn that I am not very bright and really not deserving to be here at CCARE (thanks again brain!). The dinner was fantastic, and Dr Doty was so incredibly warm and welcoming, you really do feel a ‘warmth’ in his presence. It is hard to describe. I left that dinner feeling supported and also driven to really make the most of my time here. Meeting Amma -Mata Amritanandamayi is known throughout the world as Amma, or Mother, for her selfless love and compassion toward all beings. Her entire life has been dedicated to alleviating the pain of the poor, and those suffering physically and emotionally. Amma is well known for giving hugs. To learn more about the amazing work Amma does please click this link. Dr Doty invited me and my family (Cassie and Fletcher) to come along and meet her and receive hugs. It was an extraordinary experience. 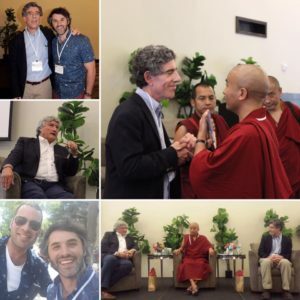 Dr Richard Davidson and Rinpoche Workshop – CCARE hosted a workshop on “Meditation And The Science Of Human Flourishing”. The workshop was conduced by Dr Richard Davidson, he has been a pioneer into the research and science of meditaiton. Rinpoche is a Tibetan Buddhist Teacher and has written the popular book, The Joy of Living: Unlocking the Secret and Science of Happiness. 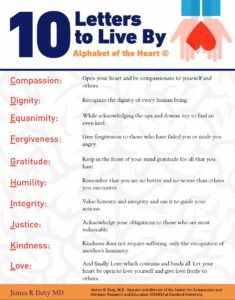 New Compassion Projects – Dr Doty and me, after several one-on-one discussions, have come up with a new compassion focused project based on his Alphabet of the Heart. We are in the initial planning stages, but I’m quite excited about what might eventuate with this project. 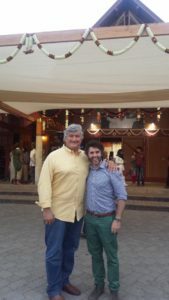 Participating in CCT – CCT is Stanford’s Compassion Cultivation Training program. The CCT program is an 8-week course aimed at helping cultivate compassion towards yourself and others. It has been examined in a Randomised Controlled Trial and has had positive impacts on compassion, emotion regulation, and mind wandering. I have done research examining the impacts of compassion-based interventions, so to have the opportunity to complete the program is fantastic. I think you get to understand the program best when you experience it yourself. I am going to blog again about my experience so far with CCT shortly. The Compassion Games – I am involved as an organising committee member for the Compassion Games. The Compassion Games is all about action, and in the Games competition becomes coopetition as teams and individuals challenge one another to strive together to make our planet a better place to live through community service, acts of kindness, and raising monies for local causes. It has been fantastic being part of the organising committee, and already we have looked at starting up some Compassion Games activities in Australia. Being here at CCARE at Stanford, surrounded by other motivated individuals who are hoping to better understand the science underpinning compassion has been such an amazing experience. I am only one month in, but I am so grateful to have had this time and opportunity. On my return to the School of Psychology at the University of Queensland, I am looking forward to continuing to build upon the strong relationship we have now formed between The School of Psychology at UQ and CCARE at Stanford. I also must say, Cassie and Fletcher have been amazing with supporting me on this trip. I am truely in awe of Cassie’s willingness to travel to the other side of the world with our little baby boy. For me, the best way to learn and understand compassion is to watch her.